Have these researchers seen Black Mirror? When William Gibson wrote Neuromancer, the idea that the human brain could be plugged into a virtual world and control it was firmly science fiction. 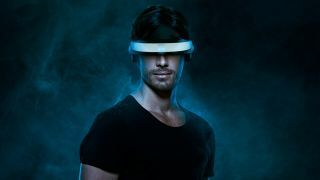 Now, however, it’s looking closer to reality after researchers at the University of Washington have discovered that it’s possible to interact with virtual realities using direct brain stimulation alone. The researchers published their findings online at Frontiers and Robotics Online, describing how their five test subjects were able to play a simple two dimensional computer game using only their brains with no need for the usual sensory cues of sight, hearing, or touch cues needed at all. The subjects had to try and navigate 21 fairly simple mazes without being able to see them. Their only movement options were forward or down, and to let them know which direction they were supposed to move, the researchers used a technique known as transcranial magnetic stimulation. It sounds painful, but the process simply involves placing a copper coil near the subject’s skull and using it to non-invasively stimulate a specific area of the brain causing a user to see a flash of light which would signal the correct direction. All five subjects were able to correctly determine the direction they should take 92 percent of the time with the assistance of the brain stimulation. Without it, they only managed to go in the right direction 15% of the time which indicates that their experiment was very successful despite the fact that walking into the light should really be something we're programmed to avoid at this point. The researchers are excited about their findings because it indicates that the human brain can effectively use information it’s never visually or aurally encountered in order to complete simple tasks. The researchers also found that the subjects’ navigation skills improved over time, suggesting their ability to detect the mental stimuli improved over time. As if the results of the test aren’t sci-fi enough, the lead author of the paper, Darby Losey, said their intention is to essentially “give humans a sixth sense.” According to Losey, while most neural engineering research focuses on decoding information from the brain she and her team are doing something different by encoding information into the brain instead. The most significant possible application for this kind of technology is that it could help visually impaired people navigate the real world. Unfortunately, the equipment is just too bulky in its current form to carry around. Co-author of the paper Andrea Stocco says it could one day be possible to replace the hardware with something more suitable for real world navigation, though. In the meantime, members of the research team have co-founded a startup company called Neubay with the aim of commercialising their ideas and technology to improve virtual reality gaming. Their first step will be to use their research to enable richer sensory inputs which should result in more realistic virtual reality worlds than those we already have.